To give you some idea of prices, check ourDoors Cost Guide. 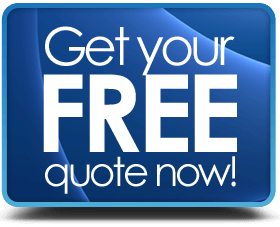 Prices could well vary across the UK & we advise getting at least 3 written quotes to compare before buying. Find out more about the different range of styles & colours to suit any home. Energy efficient & stylish, Patio doors are tough, secure & look amazing. What are Cost Guide Factors? Style - different designs have different pricing. Size - in this case it is important as is quantity. Larger orders may attract a discount. Colour & finish - expect to pay a little more for colour or wood-grain effect. Quality - a cheap door may cost less to buy, but have hidden costs later on. Material - Wood, uPVC & Aluminium are all priced differently. Competitive Pricing - A Cost Guide. You also get to see what you are getting for your money. Guarantees & warranties can vary from company to company as well as costs. With several options at hand, you can take your time to compare offers before deciding which is best for you. Don't forget to always ask for a better deal! Requesting your quote is so simple. Just send us a few details & we will find qualified & trusted installers to provide you with written prices for your work. What do double glazed entrance & patio doors cost? If you take a look around, you may find that average budget double glazed uPVC door price is between £250 to £400. Generally, there is not a lot of price difference between the cost of a back door & front door of the same design & size. However, there are literally hundreds of different designs and also different materials to use. For a standard entrance door without side panels, it would be fair to say that a composite door would generally be at the upper end of the price range. These would have expected to be priced over £500 for supply only and closer to £1,000+ for a fully fitted door. The cost of your work is likely to differ from the figures below as each project has its own pricing structure. How much do front & back doors cost? How much do sliding patio doors cost? 1What range of Front Door Sizes are there? Typical maximum width of a uPVC front door frame would be around 1.0 metre or 39.3 inches, with a maximum height of 2.2 metres or 86.6 inches. 2Can I get frame extensions if my door opening is larger than standard? There are some options for frame extensions of 10/20 or maybe 50mm. If your opening is big enough you could always fit a side or top panel. 4How long will a UPVC Door last? Some opinions are that a high quality really well maintained uPVC front door can last up o 35 years. 20 years, however, would be a reasonable life expectancy. 5What is the basic standard specifications of a Composite Front Door? 1How Many Colours for uPVC Doors are there? 2How Many Colours for Aluminium Doors are there? A lot of aluminium doors are powder coat painted. This means that you could have almost any colour you like - most suppliers can easily offer up to 150 shades, including 2-tone. 3How long does it take to deliver a new front door? Lead times (manufacturing & delivery) for new front doors of any design vary by manufacturer. But you should allow from 5 to 15 working days for an average order to be delivered. 4Can I have a cat flap in my UPVC or Composite door? If the door section that you want to fit the cat flap into is solid, then yes you can have one. A lot of manufacturers will not fit cat flaps in glazed sections. 5Can I Have a UPVC Door that opens outwards? It is possible to have a uPVC Front Door that opens outwards but it will depend on the manufacturer. In some cases there will be an extra cost involved to have the door open outwards.